We keep a keen eye on the market to help our buy to let landlords source the best possible investment opportunity. 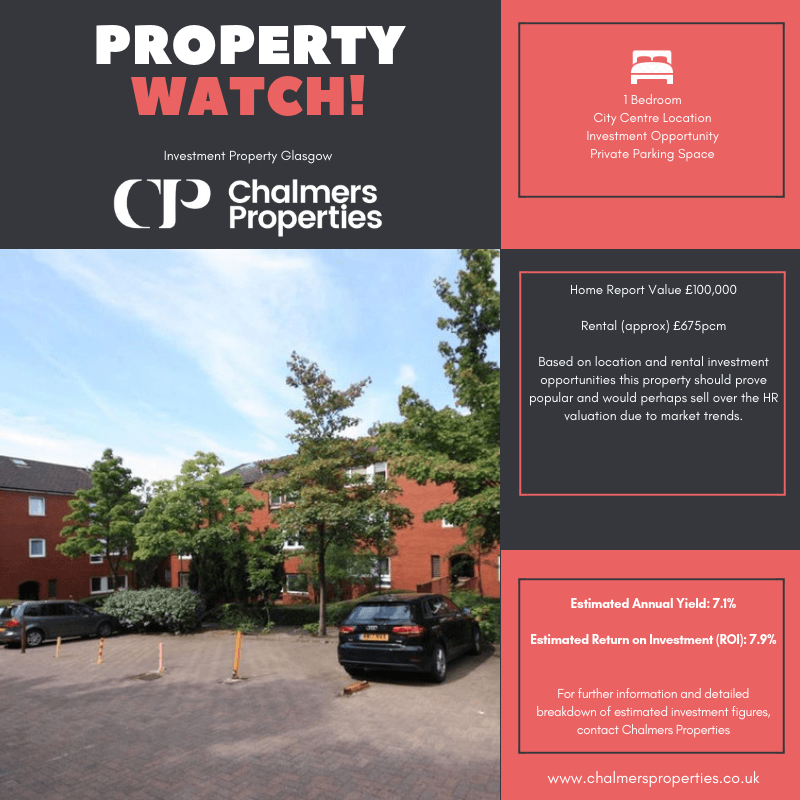 Here is our selected property this week and we have done estimated calculations for you to show how it would make a great investment. The property is a one bedroom flat located in the area of Garnethill within Glasgow’s city centre district. It is located on the ground floor, although is elevated and therefore has a better outlook and benefits from a fantastic location which allow access easily to city centre amenities, road networks and West End district by subway from Cowcaddens or leisurely stroll via Kelvinbridge and Great Western Road. The Home Report is £100,000. Should the avenue of serviced apartment basis be explored for this property, it would maximise the rental potential, however the major benefit to this property is the private parking space. This is a major incentive and certainly adds value to the investment.